Issue V is (finally) online! 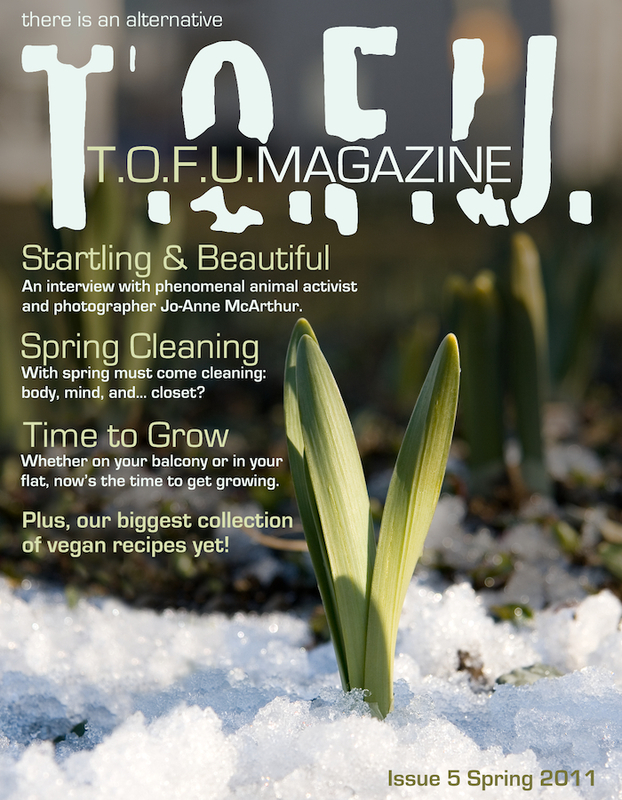 That’s right, the fifth issue of T.O.F.U. is now available. Topics include spring cleaning, growing veggies and greens in small spaces, how to promote veganism, making your own baby food, and a spotlight on the work and life of Jo-Anne McArthur of We Animals. Did we mention the cashew cookies, harvest soup and smoothie and shake recipes? What about the hot noodz? Or the full colour, vegan-friendly photos? On top of the content, the new issue is now available in two different ways: by signing up for the newsletter or through the pay-what-you-want model. However you end up with the magazine in front of you, we hope you enjoy it! Just be careful to pace yourself, the next issue is not due out until right before Vida Vegan Con in August, which may seem like far too long if you finish this one in a single sitting.